DNHat - Best Domain Portfolio Management & Marketing Scripts. 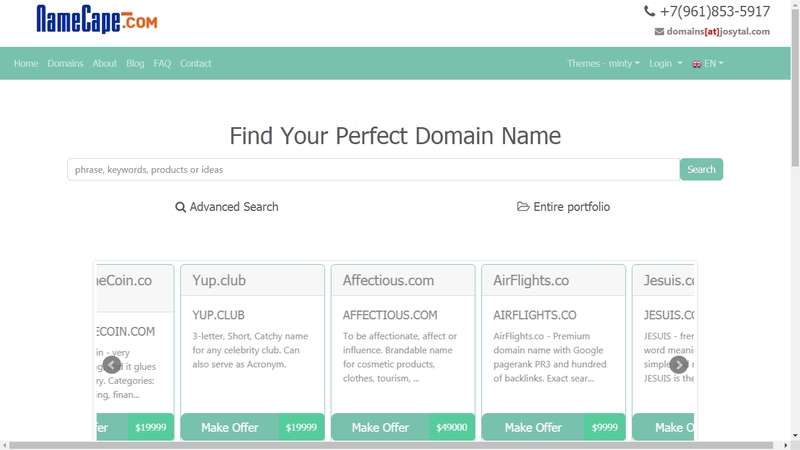 Manage Your Portfolio Without Hassles, Sell Your Domains with ease. No commissions, No Fees. Pay Less, Sell More! 2. Admin control panel demo - Admin demo gives indepth knowledge of the features of the software, be it domain portfolio management or setting up the markeplace, customization etc. 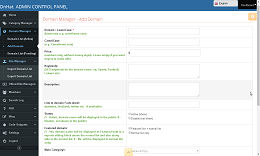 Admin control panel is accessible only to the Adminnistrator through Login and Password. 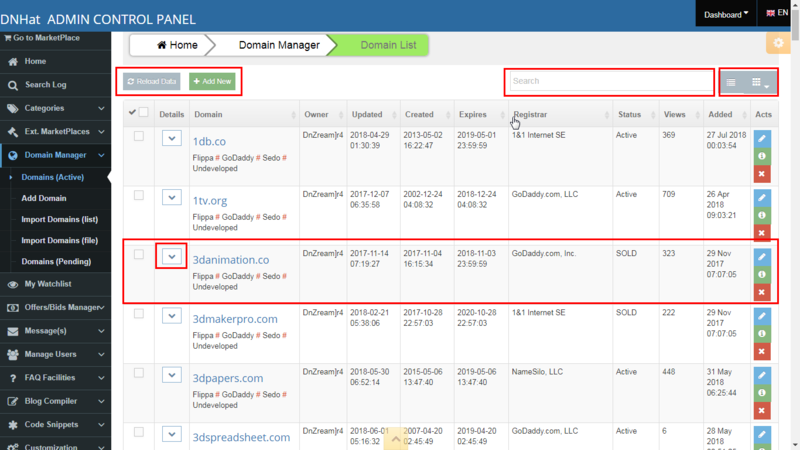 DNHat is a Domain Portfolio Management and Marketing Software that helps you keep tabs on your domains: expiration date alert, list of marketplaces where your domains are active, your purchase price (cost), link to comparable sales site, and many more. DNHat is also used to power searchable domain marketplace website with optimized landing pages for maximum conversion. 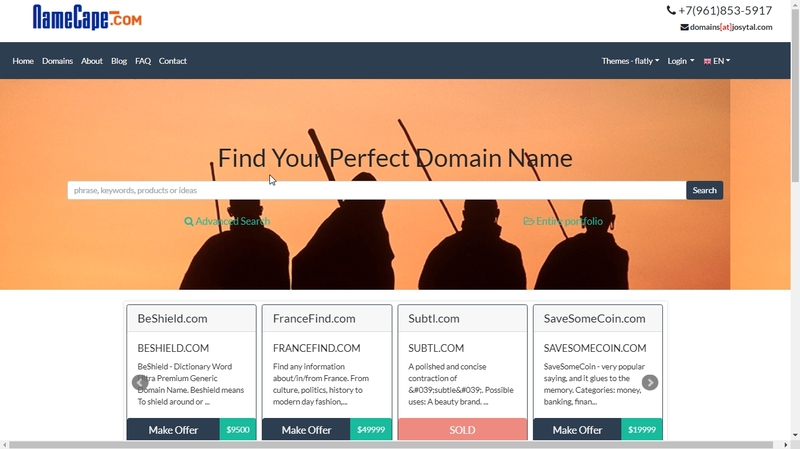 DNHat can handle thousands of domains, with each domain having its unique For-Sale Landing Page with optional domain description, keywords, form to send/receive sales inquiries OR redirect such to third-party marketplace(s) to complete the sales. DNHat can be used either as personal software for a single domain investor or for Multi-vendor project with multi-user capabilities enabled - registration form, Member Area (User Control Panel), with each user assigned an ID on the system to manage his/her portfolio and list domains for sale on the marketplace. Companies and individuals not involved in domain trading, but with sizeable domain porfolio will also find DNHat handy in easing the tasks of domain names storage, retrieval, monitoring and digital asset management. Managing your domain portfolio can be a complex, daunting, time-consuming task. DNhat powerful domain portfolio management tools simplify the task, help you save time, money and get organized. Category manager. 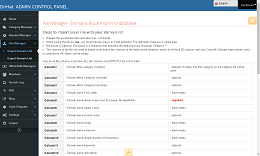 DNHat enables you to create unique categories under which you want to later add your domains to the database. There is no limit to the number of categories you can create. You can add/edit/delete categories at any time. External marketplace manager. 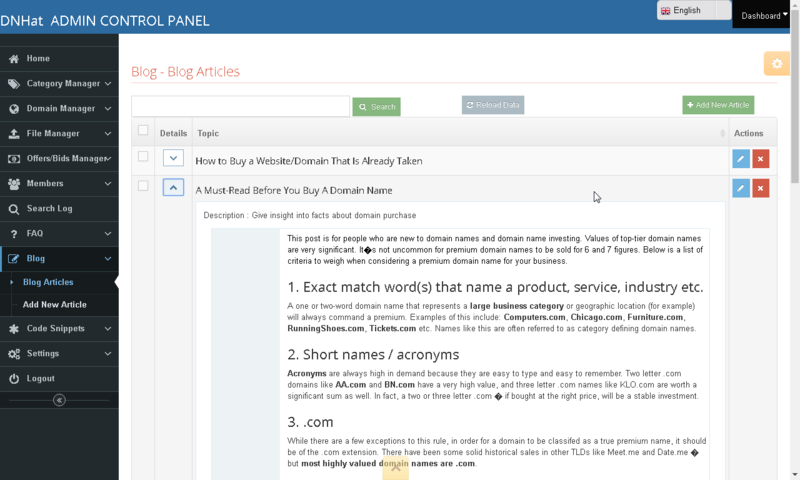 Similar to categories, DNHat provides you necessary tools to compile a list of third-party sales platforms, where you can list your domains. 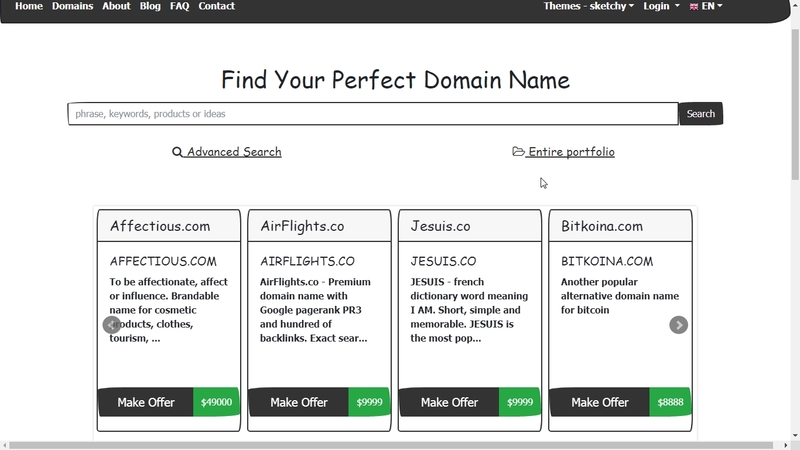 Adding domain names to your portfolio. DNHat is equipped to bulk upload thousands of domains from spreadsheet file or copy-paste the list of your domains into a box. Answer a couple of questions, submit and trust the rest to DNHat. Domain WHOIS data extraction. 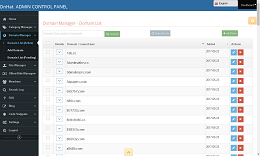 Each time you add to or edit domain name(s) in your portfolio, DNHat automatically connects to WHOIS remote server to extract vital data about the domain(s): registrar name, DNS, domain registration and expiration dates, domain age, etc. You can connect and update your domain(s) WHOIS data at any time. Domain expiration date alert. Email notifications from registrar(s) can bounce, mailbox message limit exhausted - few of the many reasons why you can forfeit a valuable domain name. DNHat to the rescue! Independent of your registrar(s), DNHat tracks expiry dates of domains in your portfolio and will notify you in advance before the actual date(s). With DNHat Marketplace Management Features, you can now turn your website into a professional full-blown domain marketplace, also invite other domain owners to list and market their domains. 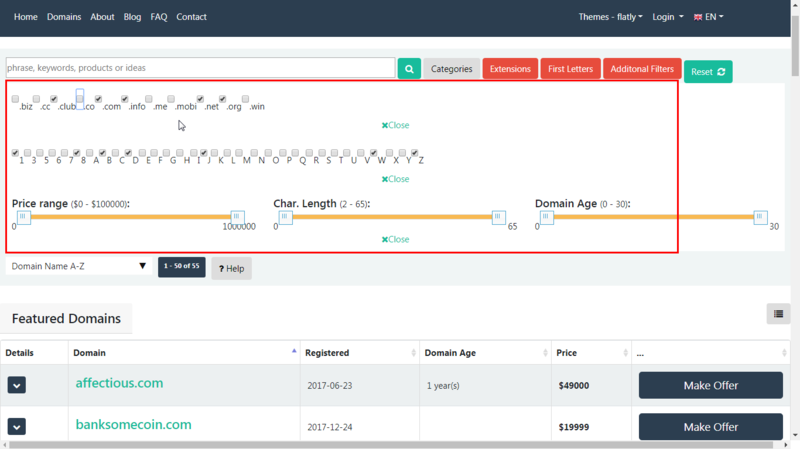 DNHAT helps potential buyers find your hidden domains by aggressively searching your database against complex search terms, product names, ideas, across all fields. All at a go! 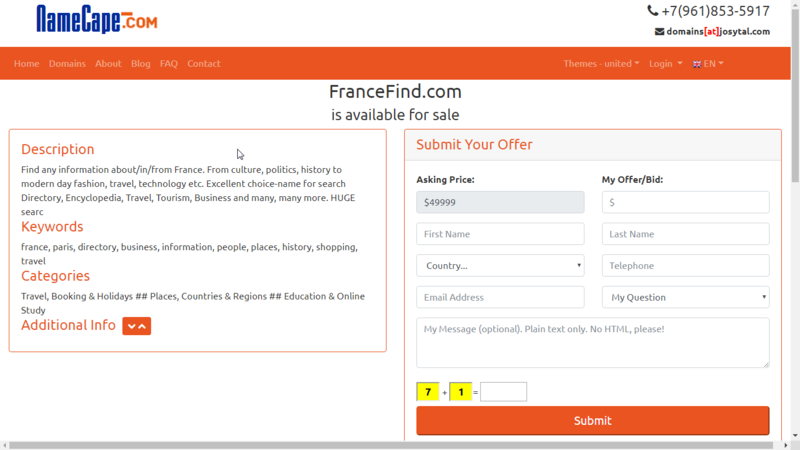 Fine-tune search result with over 5 additional criteria: Domain category(ies), Extension(s), First letter(s), Price range, Character count, etc. Integrated For-Sale Landing Page with unique URL, IP detector, hit counter for every domain in your portfolio to analyse and gauge performance. Customizable, professionally designed and tested inquiry forms that guarantee maximum conversion and sales. DNHAT comes with ready-made payment gateway integration for your domain For-Sale landing page. Buyers can pay directly to you via Escrow.com, PayPal, Stripe and 2Checkout. Each payment gateway plugin can be enabled/disabled as you deem fit. Following basic steps and simply instructions, you can create/install additional plugin to be used for any payment gateway of your choice - (for Pro version only). In addition to selling directly, DNHAT enables you to also re-direct buyers to third-party marketplaces, where they can finalize purchases. Augmenting the efforts of third-party marketplaces (where your domains are listed) is an approach many domain investors have found highly productive. 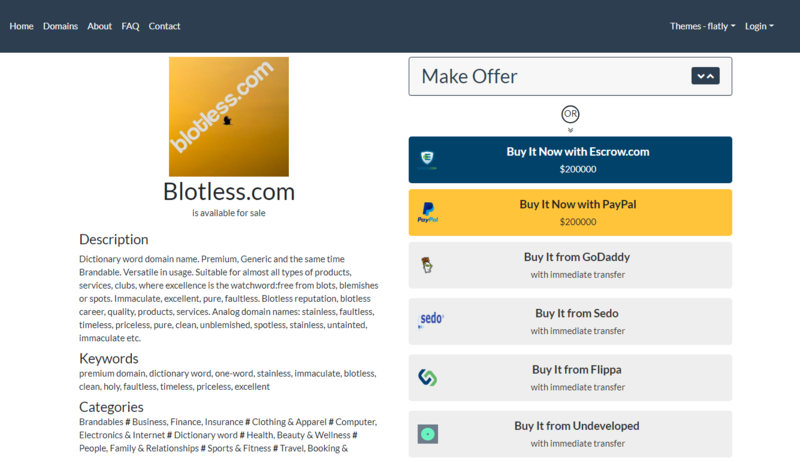 21 popular third-party marketplaces (GoDaddy, Sedo, Flippa, etc.) have been included in the package. Add/Edit/Delete, Enable/Disable at will. DNHat helps you open additional channel of passive income by fully utilizing Ad spaces on your website. PPC/PPM, Custom banner Ads, text Ads and affiliate program links are all supported. DNHat unique analytics codes focus on gauging the effectiveness of your domain landing pages. Stats for type-in or click through traffic, country, date, time spent on each domain landing page, etc. Exit stats to external payment gateways or/and third-marketplaces from your domain landing page. Stats for popular search terms, result counts, etc. DNHat is equipped with built-in Private Messaging System (optional) that enables easy communication between Buyers and Sellers, without revealing their identities, email addresses or contact details. A must in a multi-vendor markeplace scenario, when you charge commission on each successful deal. Again, this is optional and can always be enabled or disabled via the Admin control panel. Be it price updates, new feature announcement, marketing campaign, season's greetings, offer acceptance notifications and other occasions when your clients or users must feel unique, you can easily reach them all with personalized email content. In bulk, with just one click of the button. To all or selected few. Each user receives a blind copy of the message, with his full name injected into the mail body, so message is personalized. DNHat is multi-lingual capable and enables you to add new, unlimited language packs, so you can turn your website into a truly international domain marketplace. Google real-time translation also provided as an option. Frequently Asked Questions (and answers) page adds pecks and trust to your marketplace. Save your time responding to repeating questions with same answers. Compile and publish your FAQ page once with DNHat - richly formatted, even without knowledge of HTML. Unique facilities to create/manage Blog Articles by topics, where you can periodically write, educate and share your knowledge with your audience. An excellent way of adding professional touch to your website, getting your marketplace rank high on search engines and attract more visitors. DNHat comes with clean, responsive templates and design for maximum accessibility via all devices and browsers. High rankings guaranteed in search engines with intelligent use of common tags. DNHat is extremely flexible, with tons of customizable options to make your marketplace unique. Allow/Disallow features, fixed or dynamic marketplace color scheme and templates and many, many more. DNHat has been tested, fined-tuned to perform excellently with minimum system requirements - no over blotted resources killer plugins, bug-ridden codes and spam-prone freebies. Quick, easy to use built-in installer for non technical users. No messing up with manual database setup or configuration files. DNHat installer does everything on the fly. And you can install in a sub-directory of existing website or opt for a stand-alone project. DNHat security options include Captcha form protection, IP blocking with Anti-flood options. No more false orders and emails from internet bots. Suspicious form submissions are flagged and logged into a special file. Dynamic administrative interface that makes managing your portfolio, marketplace, website content a breeze. Near-perfect design and a fully responsive layout. Simplified, out of the box solution for non-tecnhical users. 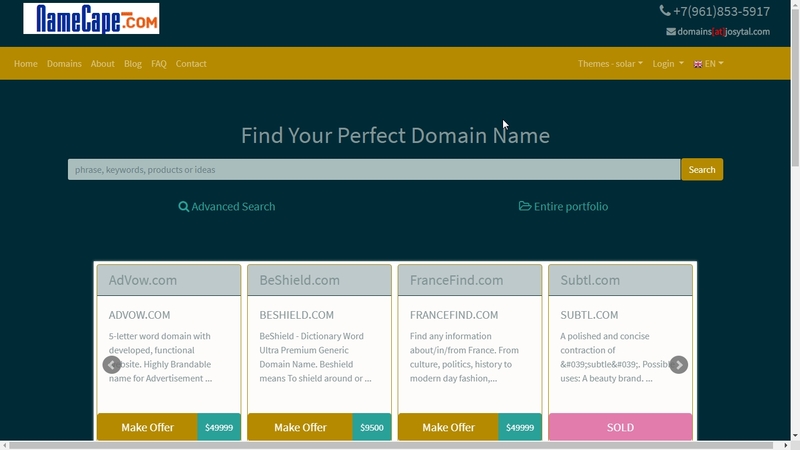 With DNHat you can organize and manage your domain portfolio. 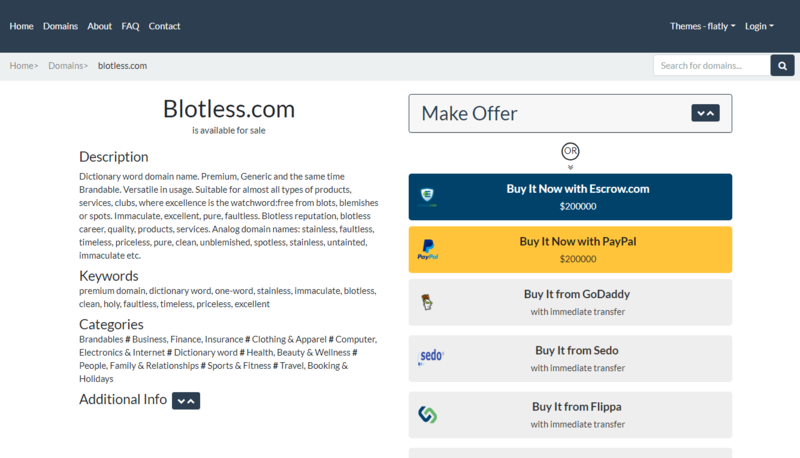 Secondly, you can setup your own marketplace to sell directly to end-users and earn 100% of your proceeds OR redirect sales enquiries to your domain landing page on third-party sales platform (for example, Sedo, Flippa, GoDaddy). Either way, you retain vital statistics to gauge your domain performance, adjust prices upward/downward, take informed decision on whether to renew or drop a particular domain. DNHat can be used either as personal software for a single domainer or for commercial project with multi-user, multi-vendor capabilities enabled - registration form, Member Area (User Control Panel), with each user assigned an ID on the system to manage his/her portfolio and list domains for sale. It is also assumed that all PHP default (e.g. hash, session, etc.) libraries are enabled. These are standard requirements and most web hosting servers have them in place. If in doubt, consult with your ISP or, better still, use the contact form below to ask questions. DNHat is NOT a freeware. DNHat is a commercial software. You must purchase a license in order to install or/and use DNHat on your web server. One license is valid for one domain only, where the software will be installed. All other domains you want to sell or manage don't need license. DNHat is packaged with it's own installer. No messing up with manual database setup or configuration files. DNHat installation scripts do everything on the fly. To install DNHat on your website, follow the steps and instructions as stipulated in the documentation. Installation is easy and straight forward. However, if for any reason you decide not to install the script yourself, then you can request for our installation service at additional cost of $10. We offer 6-month free basic technical support for all legally purchased copy of DNHat. This includes, bug-fixing, upgrade to most current version of the scripts, consultation etc. Request for customization, additional features - if not on our to-do list - will be considered and charged according to existing rates. DNHat is packaged in three different versions - simple, one-page domain Lander, all-in-one Standard for a single domainer and complex, multi-vendor Professional version for unlimited sellers and buyers. They are all self-hosted solutions on your website at affordable prices. No contract, No monthly recurring charges! One-time payment only. Buy Now - Purchase a License, download the software package, YOU install the scripts on your server/website yourself. Buy Now + Installation - Purchase a license, download the software package, WE install the scripts on your server/website for you within 24hrs. Discount coupon codes - If you have valid discount coupon code, then enter it during checkout (3rd step, before payment). Final price will be re-calculated. DNHat is being updated almost on weekly basis either with new features, optimazation, fixes etc. Unfortunately it's impossible to publish every change so, below are listed the most current and notable changes to DNHat project. 1. Added. Options to show/hide domain Price (if available) on External Marketplace buttons. 2. Added. Option to enable/disable localization (languages and auto page translation) selection box. 3. Implemented. WHOIS extraction codes for "double-dot" domains. For example, co.uk, au.com etc. This used to be an issue. 4. Added. Option to display AboutUs information on homepage or create a separate dedicated page for same. 1. Implemented Multi-level spam filtering with special log files for suspicious new account registration from spam bots. 2. New user account activation/confirmation email message sender. Only accounts confirmed by users are now activated. 3. Clean-up tools to automatically delete unconfirmed user accounts after 30 days. 4. Implemented Multi-level spam filtering with special log files for suspicious domain bids/offers submission from anonymous users. 5. 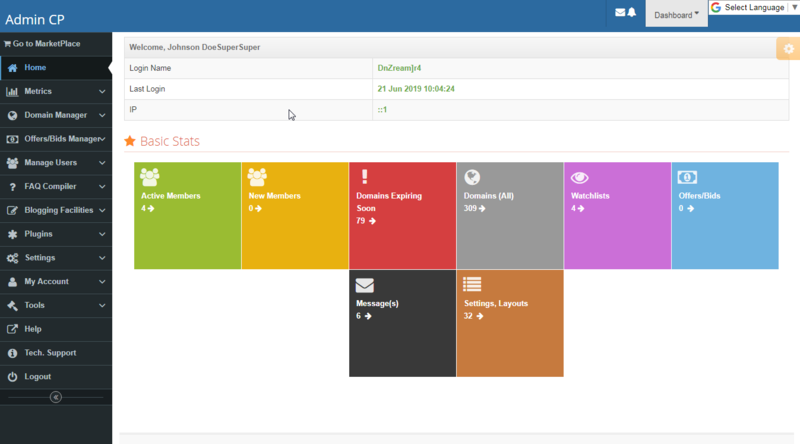 Admin customization menu block splitted into basic, advanced and layout settings sub-menus for easy management. 6. Some bugs and errors corrected in payment gateway plugin. 7. Added SquadHelp domain sales platform to DNHat Marketplaces plugin. 8. 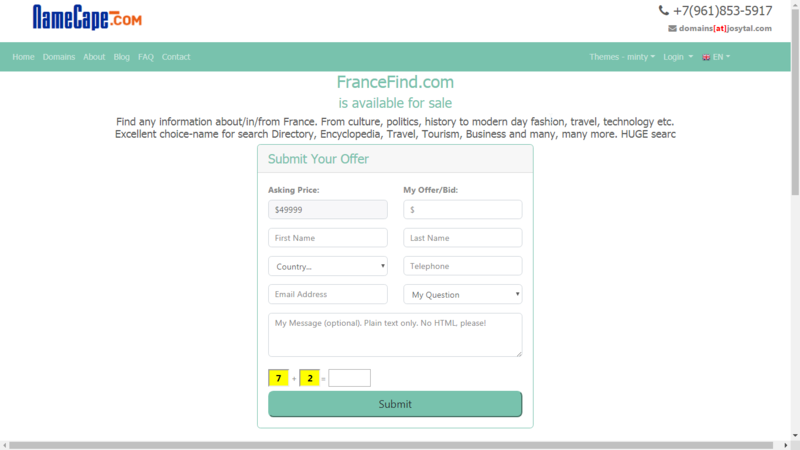 Added collapsible offer form option to Domain Landing template 3. 9. 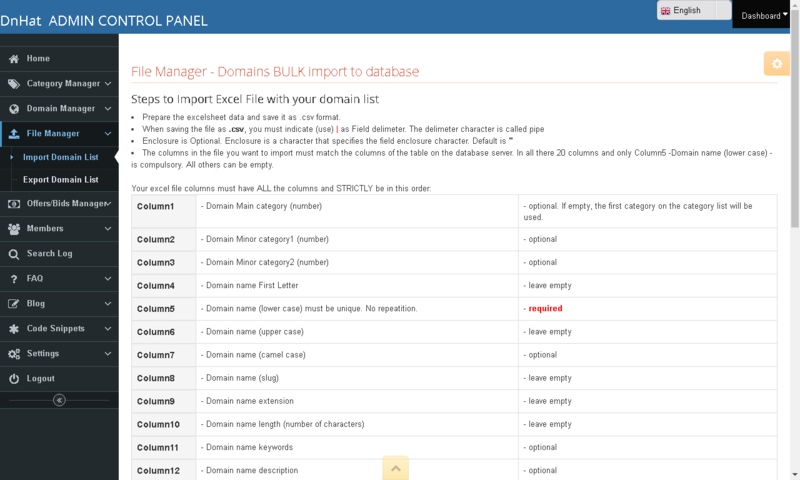 Minor changes to database structure with more fields added to configuration table. 10. Documentation and help files updated to reflect latest changes. Release Notes: Most of the updates in this release are Domain Landing Page optimization related. 1. Added. One more Domain Landing Page template - the third. 2. Added. Over 300 royalty-free background images to select and use for Domain Landing page. 3. Options. Added Option to show/hide Domain Logo on Domain Landing Page. 4. Options. 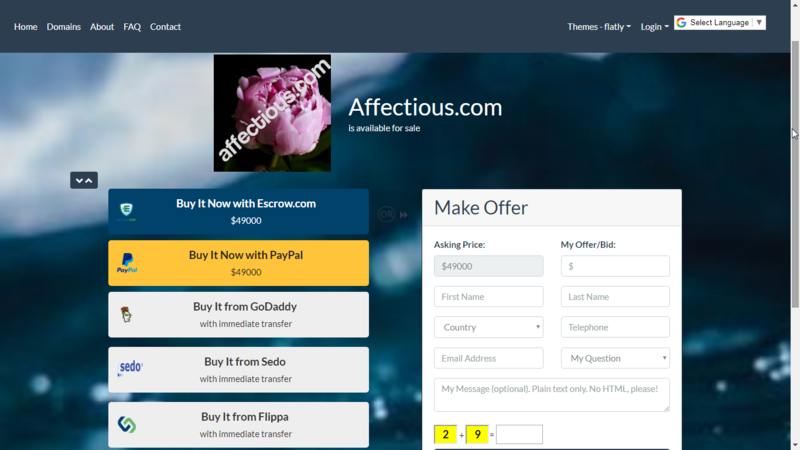 Added Option to use/not use background image for Domain-For-Sale Landing Page. 5. Options. 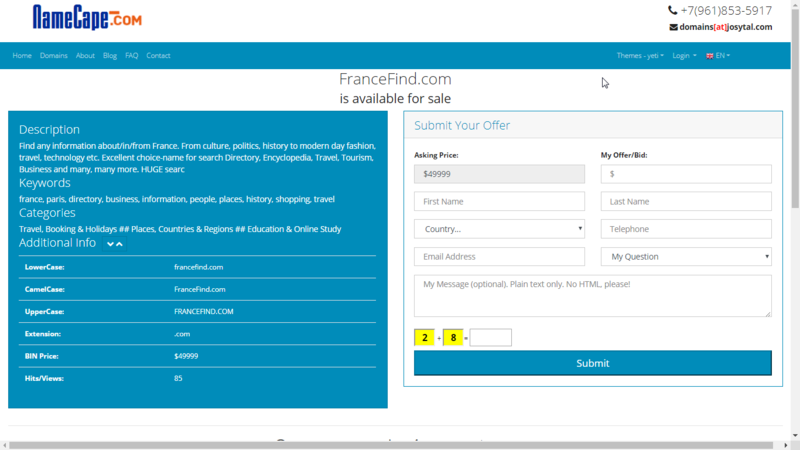 Added Option to show/hide domain quick search box(above the offer/buy-it-now block) on Domain Landing Page. 6. Options. 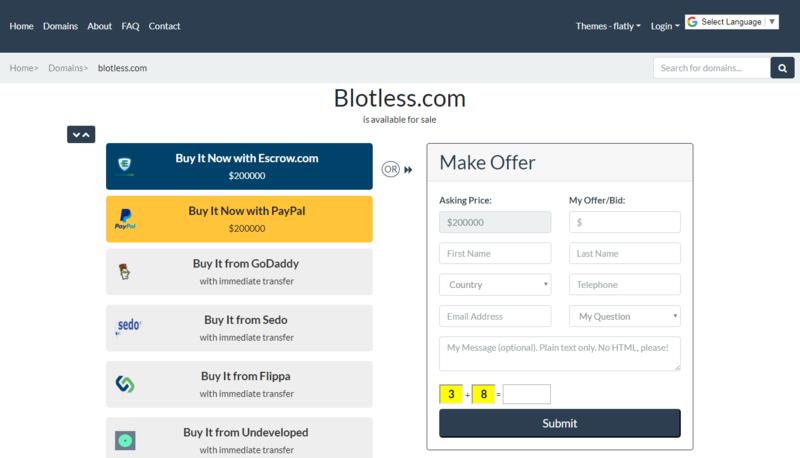 Added Option to show/hide Random domain list (below the offer/buy-it-now block) on Domain Landing Page. 7. Options. Added Option to show/hide Featured Domains list/slider on top of domain marketplace search engine. 1. Added. Domains expiring soon notification display and table added to portfolio manager. 2. Added. 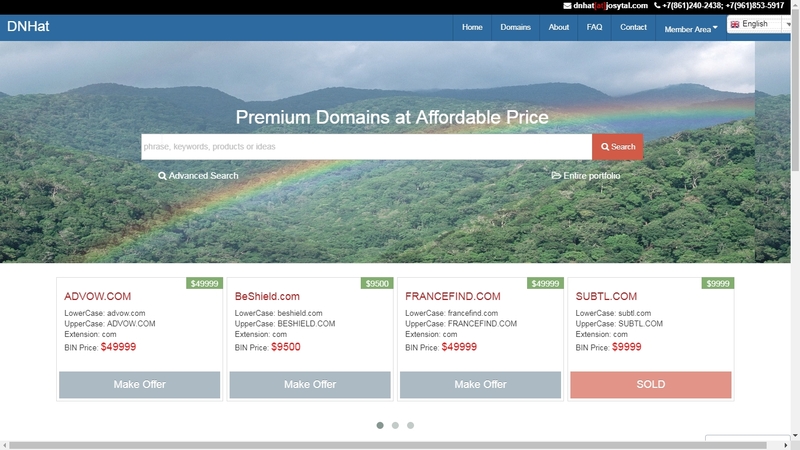 Bargain-priced domains section/category added to the marketplace. 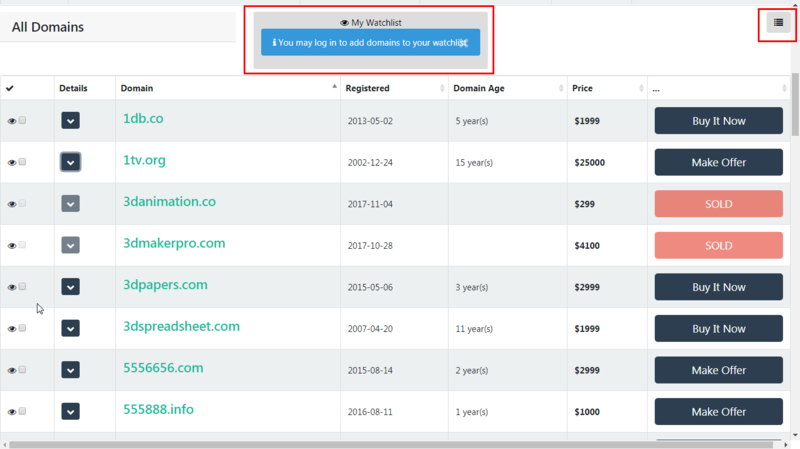 Handy to quick flip your expiring or low-value domains right from your website. 4. Added. Options to specify max. number of featured domains to display. 5. Added. Options to specify max. height of background image for homepage search and headline box. 6. Added. Domain logo(s) file upload and display facility implemented. 7. Added. Company logo file upload and display facility implemented. 8. Added. Watermark creation for domains. Single/Bulk, on the fly creation of professional watermarks from domain name using beautiful background image(s). This is a viable option for domains not having logos (or in lieu of logos). 9. Fixed some minor errors in CSS media query tags - responsible for responsive display of content on mobile devices. 1. For-sale landing page layout further optimized for maximum conversion. Similar, popular, featured domain list, "our partners" block, Ad codes on the landing page now optional - can be set in the Admin panel. Redundant links also removed from landing page. Minimum distractions - maximum concentration. 2. 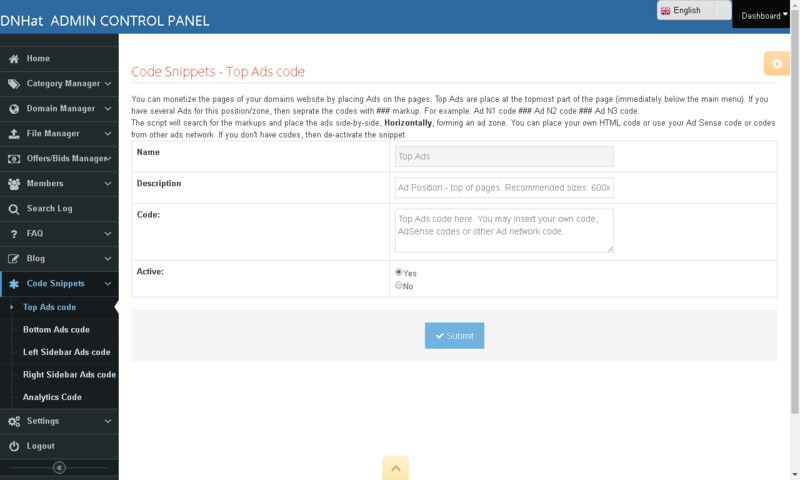 Traffic monetization codes for sidebar Ad zones implemented - still in test-mode. 3. Bulk Emailer enhanced to send personalized mail messages to registered clients. 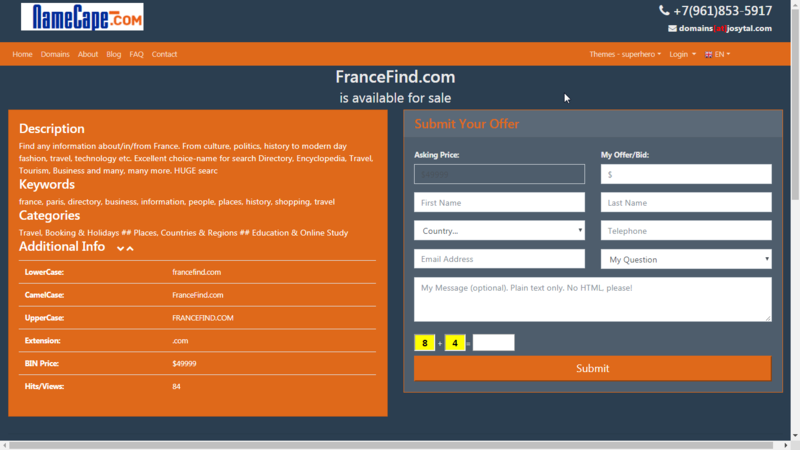 Excellent tool for sending personalized announcements, season's greetings, price updates, bulletins etc. to all or selected recipients. 4. Some bugs fixed in the domain list search mechanism. 1. Multi-lingual capability. Unlimited language packs (for professional, multi-user version), to turn any website into a truly international domain marketplace. Google real-time free translation codes also implemented for standard version. 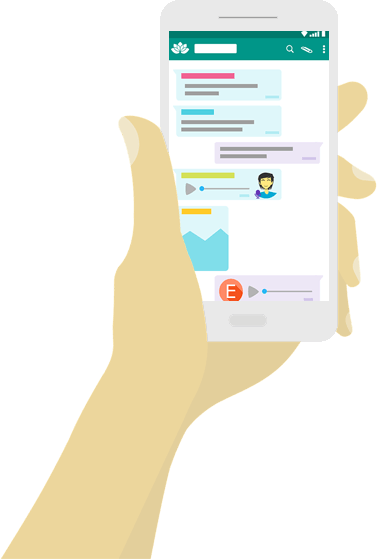 Built-in Private Messaging System that enables easy communication between Buyers and Sellers, without revealing their identities, email addresses or contact details. 1. Domain landing page integration with popular third marketplaces. 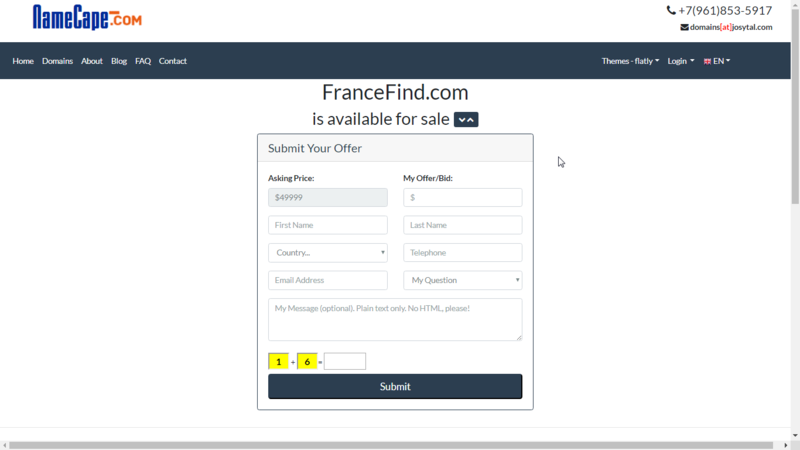 Apart from offer forms, which can be sent directly to domain owner, not leaving the landing page, buyers now have the option to buy domain directly from external marketplaces such as GoDaddy Auctions, Sedo, Flippa etc - 20 marketplaces in all. - Stats for type-in or click-through traffic, country, date, time spent on each domain landing page, etc. - Exit stats to external payment gateways or/and third-marketplaces from domain landing page. - Stats for popular search terms, result counts, etc. 3. Added optional function to log submitted offers into database before sending email to domain owner. This has partly resolved the problems bids/offers not arriving in the mail box, which may be as a result of many factors. 4. Some minor tweaks and optimizations. * Extract NameServer(s) * Extract other info. 2. Cost price (optional) column added. Domain data can now hold purchase price. May be useful if you buy domains at aftermarket and want to keep the information as reference for setting up your minimum asking price and calculating profit. By default the value has been set to $12 - being the average domain registration fee for most popular extensions. 3. Added option to show/hide domain profile, including WHOIS info, in the search result and domain landing page. 4. Minor tweaks and optimization. - Download the latest version, extract the package and use the installation wizard. All necessary updates will be done on the fly. - Domain Whois bulk update for old version of DHNat. After upgrading to latest version. 1. Visual components and Layout completely revamped to accommodate latest versions of Bootstrap. 2. Over 20 themes/skins added for dynamic selection by website visitors or fixed theme/skin by Admin. 3. All existing 5 landing pages re-designed for more professional look and touch from 100 designs. 4. Landing pages are now skinnable. Before finally deciding on the landing page to stick with, be sure you have tested them for compatibility with available themes/skins. Clear contrast between background color and text font color should be observed. 5. 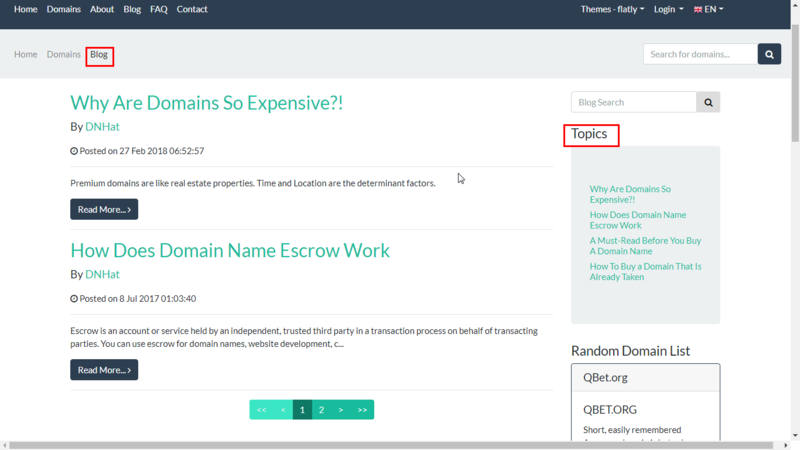 Optional display of random domains below the Landing pages. Specify Yes or No for this option in Admin panel (Customization / Advanced Settings / Landing Pages). 6. 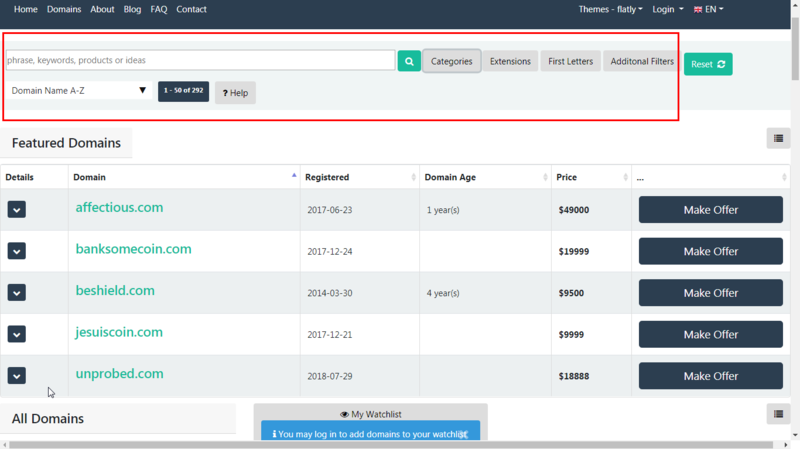 Domain search mechanism additionally improved - multiple categories, multiple domain extensions, multiple first letters can now be selected for inclusion in search criteria. So no more hidden domains due to poor search mechanism. Why do I need a software/scripts such as DNHat to manage my domain portfolio? If you're in the domaining business managing your portfolio can be compared to inverntory managing in a brick-and-mortar business. It cannot be treated as a secondary priority. Chances are you have ten, hundreds or thousands of domain names to monitor, promote and sell. You want a secure storage system, where you can list the domains with description, keywords, categories, registrars, registration and expiration dates, purchase price, asking price, link to comparable sales data. 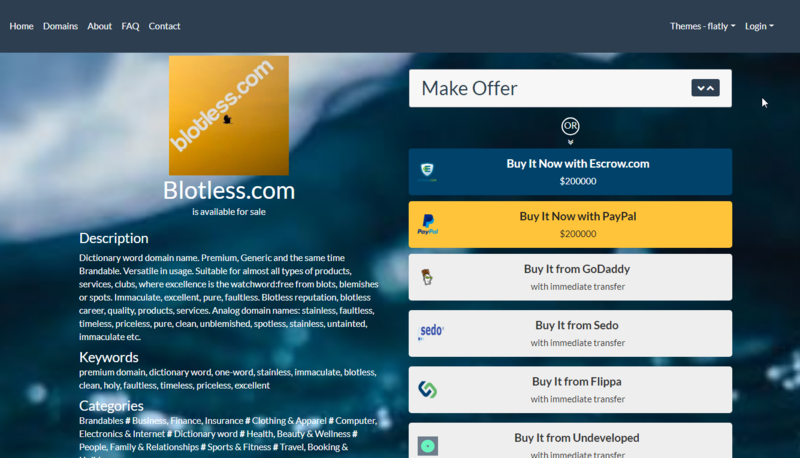 Also, you want to keep records of the marketplace(s) where you've listed your domains For-Sale, so that you can later, in the event the domain is sold, delete the name from the numerous sales platforms - to avoid "double selling", unnecessary disputes, possible fines and penalties. That's not all. You're probably dropping from or adding new names to your portfolio on a regular basis too. In a nutshell, managing your domain portfolio can be a complex, time-consuming task. That's where DNhat comes in. With DNhat powerful domain portfolio management tool, managing your inventory is quick and easy. 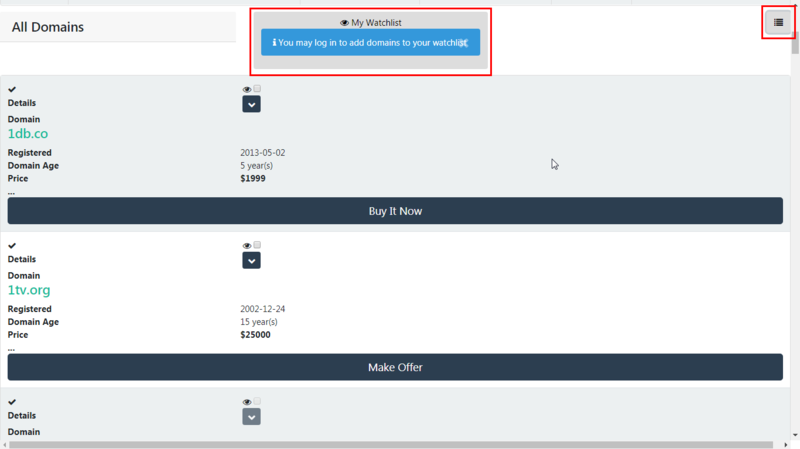 Why do I need to setup my own marketplace to sell my domains? Your domains are your digital property and no other person can manage and market them better than you do. Of course, you can list them on established marketplaces such as Sedo, Flippa and go about your other businesses. However, without paying premium fees, your domains will not get the needed exposure to sell profitably (if at all they sell). It's a proven fact that most average domains won't and don't sell due to lack of exposure on established marketplaces. So having a separate marketplace means gaining exclusive exposure and flexibility for your domains. For example, you can promote your entire portfolio by advertising at a very low cost. 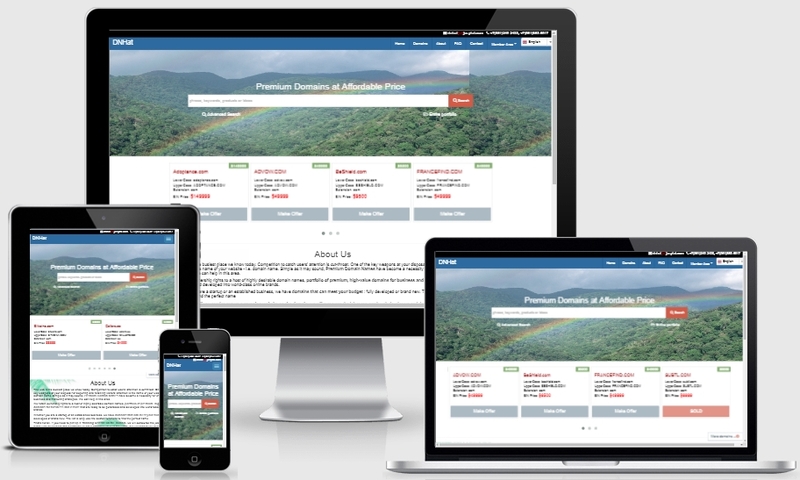 With the right approach, you turn your website to the first Point of Sale (POS) for your domains. In addition, should you decide to follow this scenario, DNHat comes with options to re-direct sales leads (buyers) from your website to any of the established platforms, where you have listed your domains for sale. Another argument in favor of your own private platform is the in-depth knowledge you gain on your digital property as a result of analysing visitors' behavior and statistics - what potential buyers are searching for, how they locate your domain names, how popular a particular domain is, how many times a domain has been viewed, which domains are frequently added to watchlists, etc. Based on this valuable data (recorded for each domain by DNHat), you can easily adjust your asking prices (up or down), make informed decision on whether to drop or renew a particular domain. Further, you greatly improve your negotiation, communication and managerial skills. Remember! After the enforcement of GDPR legislation (May, 2018), registrant's contact details in domain WHOIS are no longer available to the public. Henceforth it's not enough to have a good domain name with the hope that potential buyers will contact you through the WHOIS data. Nope! You really need to project more credibility towards end users, and having nice marketplace is very good way to do so. All-in-all, there is really no excuse for not having your marketplace nice and ready. Is your software meant for only those engaged in buying and selling domains? As explained in the user manual, you can disable the marketplace manager and use DNHat only for managing your portfolio. Simply put, you can use DNhat's powerful domain portfolio management tools as a handy organizer. Can I setup my own marketplace and parallelly list the domains on other popular marketplaces such as Sedo, Flippa etc.? 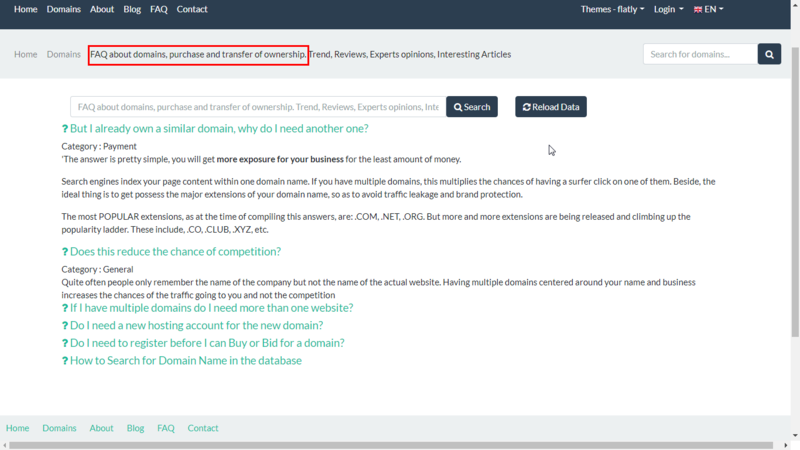 Yes, using DNHat, you can setup your own sales platform for your domains and at the same time list them on other third party marketplaces. As far as we know, most third-party marketplaces allow you to simultaneously list/sell your domains on other platforms. 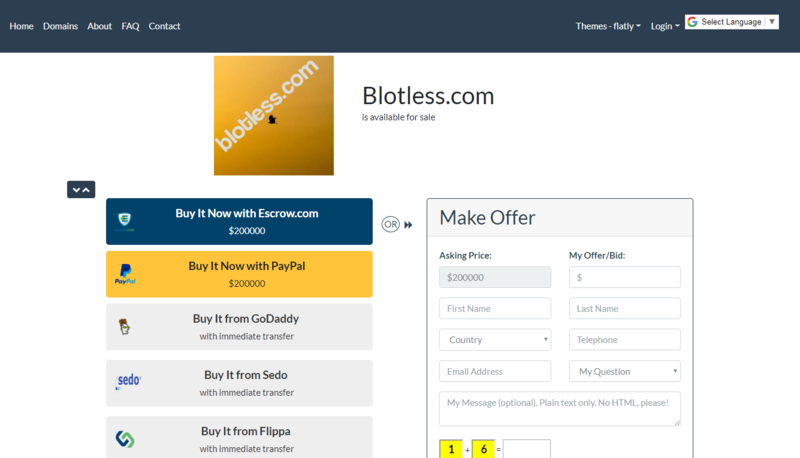 Can I send/forward/re-direct buyers from my marketplace to another marketplace such as Sedo, Flippa etc.? Yes. using DNHat you can not only setup your own sales platform, list domains for sale, but also send/forward/re-direct buyers from your marketplace to another marketplace for buyers to complete the purchase. 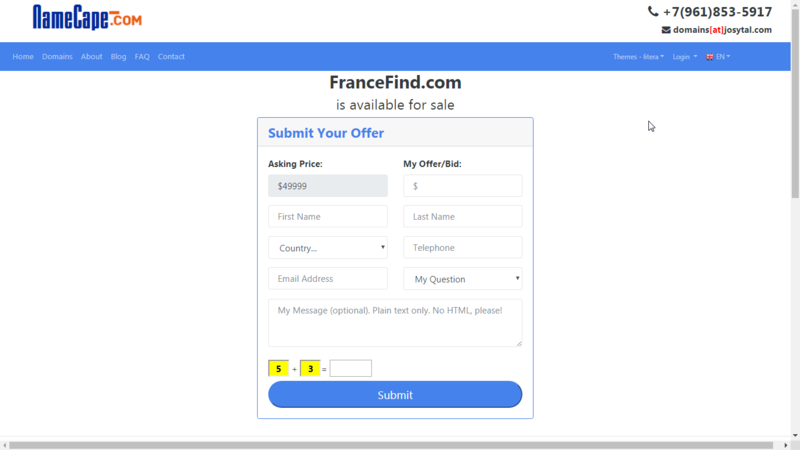 Each of the domains listed on your marketplace has its unique landing page with a form, which a potential buyer must submit in order to purchase (or bid on) the domain. Now, DNHat offers you the option to re-direct potential buyers from the domain landing page (your marketplace) to a third-party platform for the buyer to complete the purchase process. 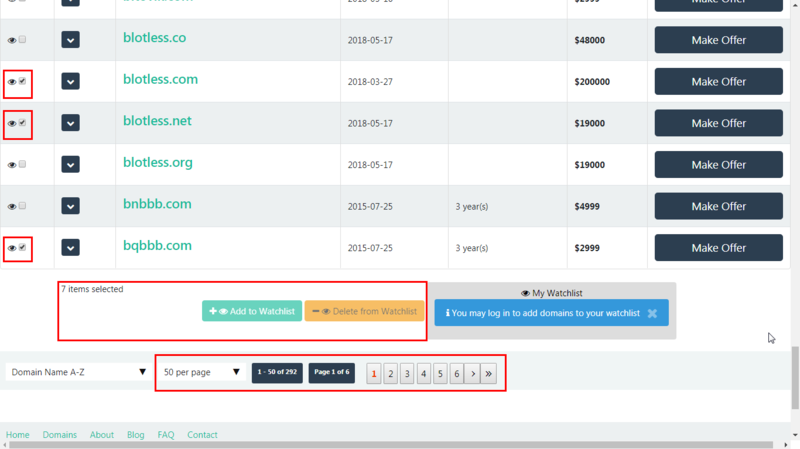 Buyer will end up on the domain landing page (checkout page) on the third-party platform. You (or users of your platform) can apply this scenario to a single or multiple domains in the portfolio. The software comes with a list of 12 most popular third-party domain marketplaces, and you can always add more. 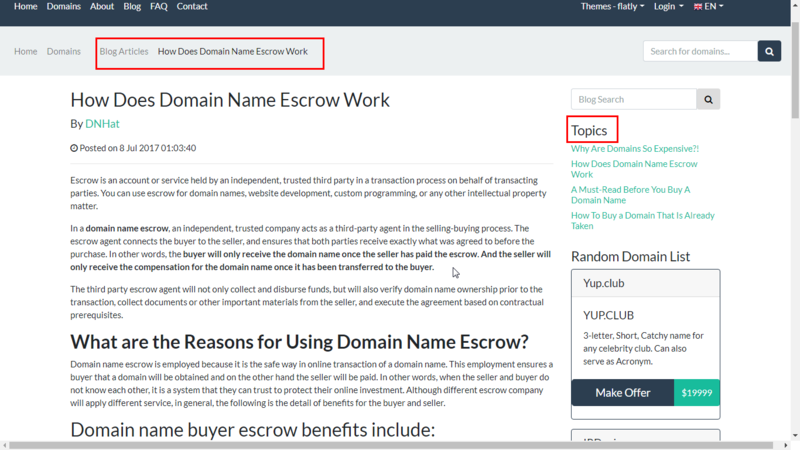 There are many reasons why you (or users of your platform) might want to re-direct buyers to a third-party platform to complete the sales : level of trust enjoyed by established marketplace(s), low sales commission, payment security, lack of technical know-how in transferring domains to buyers, you don't want to go through the rigors of domain escrow services, international payment processors don't operate in your country etc. 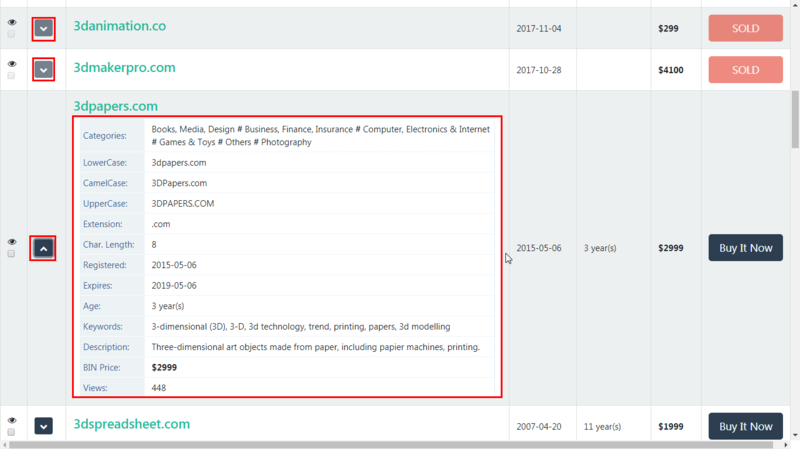 If you decide to simultaneously list and sell a domain on other marketplaces, be sure to edit the domain record in your portfolio to reflect this. Select applicable options from list of external marketplaces. Save your edits. When the domain gets sold, don't forget to login to your account to see the marketplaces where the domain is still active. Delete or deactivate the domain from the platforms. Are your prices on Monthly or yearly basis or is it final purchase? The quoted prices are for final purchase prices with free technical support for 6 months (free software updates, upgrade to new version(s), basic assistance, etc.). You buy it - it's yours for life. After the free technical support period, however, you may optionally purchase 1 year, renewable technical support at 50% of the regular price. With future versions of DNHat, one more pricing option will be added - subscription (SaaS, starting from $4/month for up to 200 domains. The software will be hosted by us and all you need is just register a free account and upload your domains. No software to download or install. Can I install/use one licensed copy of DNHat on multiple domains? No. DNHat can be installed on one domain per license. To install DNHat on more domains, you need additional licenses. Do I need to pay for new versions of DNHat, updates, fixes? After the free technical support period, however, you may optionally purchase 1 year, renewable technical support at 50% of the regular price. Request for customization, additional features will be considered and charged according to existing rates. Can I modify the source codes? Note that DNHat is an end-user product, developed using PHP and Smarty templates. As a regular user, hardly will you find the need to modify the program codes. The PHP files hold the program logic codes. You can not modify them. The smarty templates handle the display of generated codes - user interface styling, tables, images, forms, display of search results, etc. You can modify the template files, and also the HTML, the JS, CSS files can all be modified if necessary. Other modifications can be done in the Admin Area, especially in the plugins, basic and advanced customization sections. That's more than enough for a regular user. Another reason we don't encourage tampering with core codes is that we frequently update the software, add new feature and fixes. We can not guarantee that your edited copy will not conflict with latest/future versions. So, you can not eat your cake and have it. You either allow us to furnish you with new features and updates or you decline from updates from us (if you insist on modifying the core codes). Nonetheless, if you need any special features to be included for you, then we can discuss that. You can recommend DNHat to your visitors, customers or colleagues and earn extra cash. Use your affiliate link anywhere you want to promote DNHat. Whenever someone clicks the link and land on https://dnhat.com, a cookie with your affiliate ID will be stored in his/her browser for 90 days. Paddle (https://paddle.com), our payment processor, also keeps track of the Affiliate ID for 90 calendar days. Any order placed by the same user within that period guarantees your affiliate commission. Paddle takes care of the ordering process, product delivery and customer support! When someone clicks your affiliate link and purchase DNHat, you earn commission of sale. Paddle provides all of the back-end facilities for doing all the billings, accounting and tracking of your business as an affiliate. You can view and monitor all statistics and accounting information online 24/7. Where can I promote my Affiliate Link? 1. On social media channels such as Facebook, Twitter, Quora, LinkedIn, etc. 4. 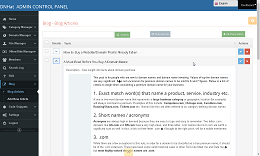 Publicize/promote your affiliate link by writing articles or reviews about DNHat on forums and other websites. Remember! The more you promote your affiliate link, the more chances you have to make money! Please use the contact form to send your questions, inquiries or/and suggestions. Our Normal response time is 72hrs. © Copyright DNHat 2019. All Rights Reserved.